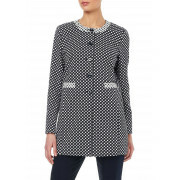 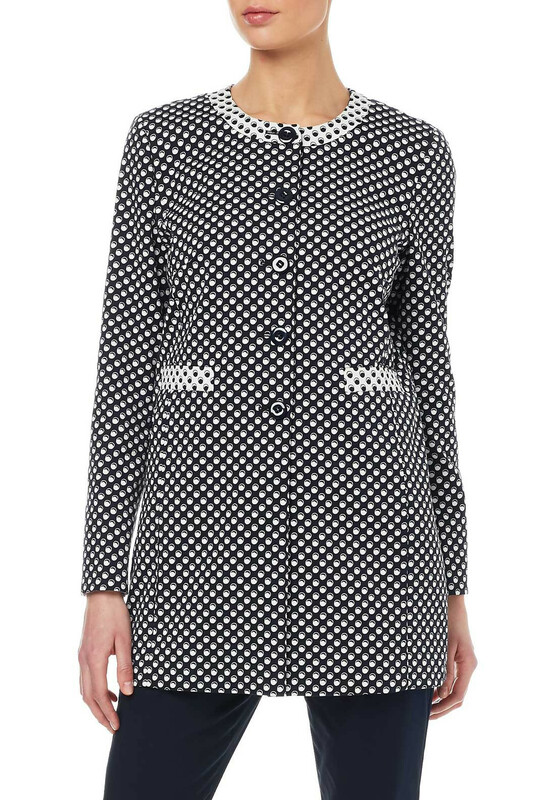 Be ready for any occasion with this stunning black and white jacket from Gerry Weber. 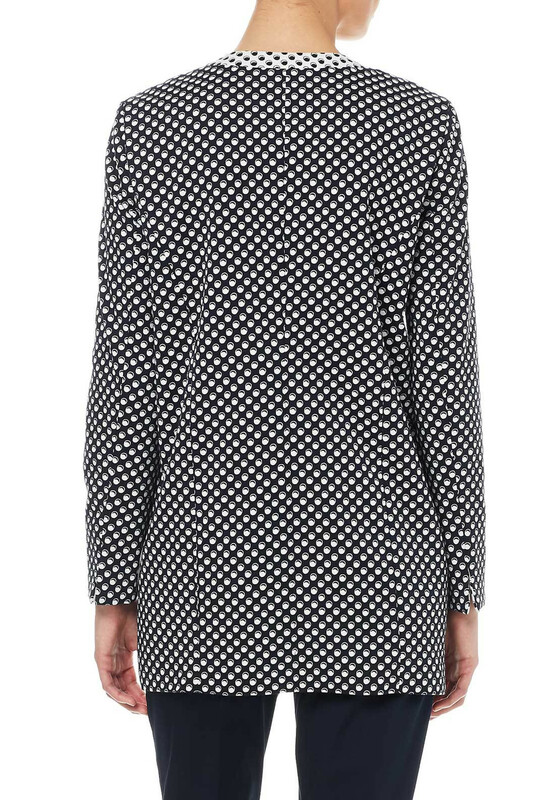 Pop over a dress, wear with a skirt or coordinate it with its matching trousers. 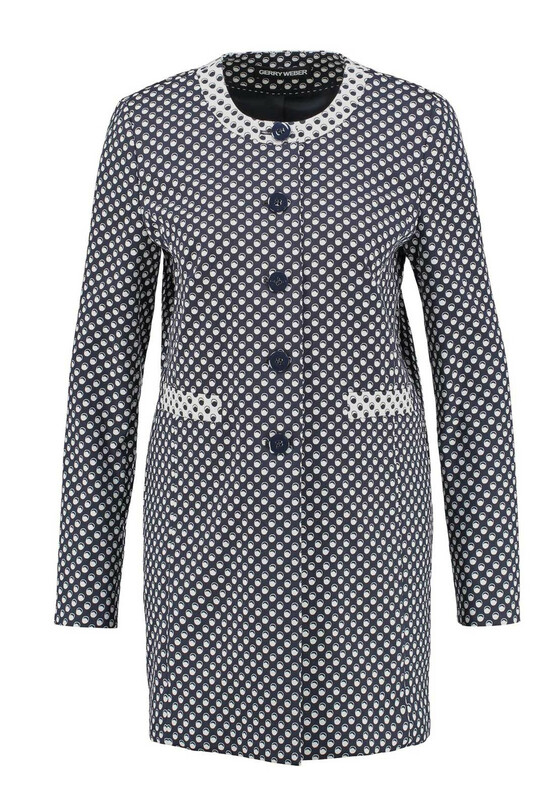 Made from a soft cotton mixed fabric this jacket has a rounded neckline with circle print throughout and navy buttons down the centre. 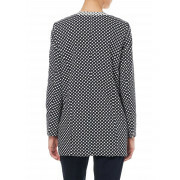 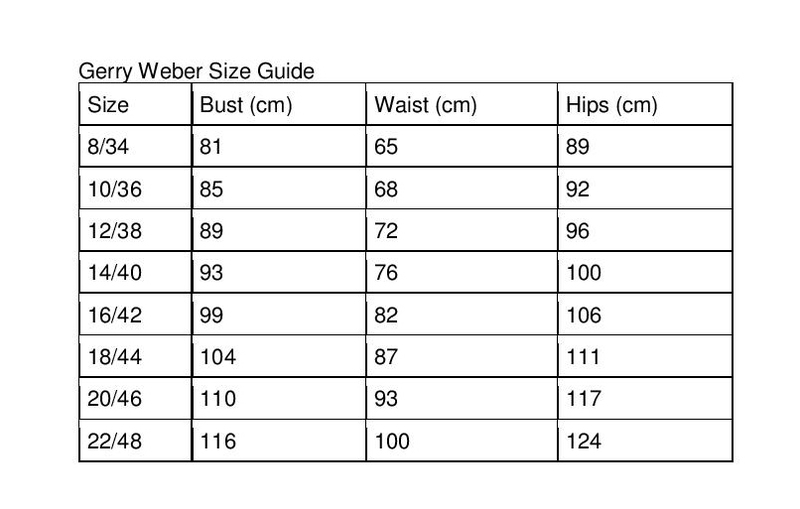 Extra details include a reversed coloured print at neckline, cuffs of sleeves and pockets.